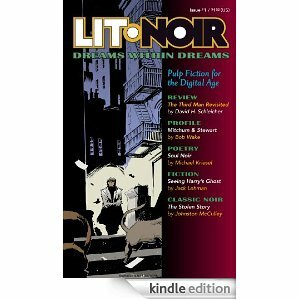 My recent retrospective on The Third Man and the Best Films of the 1940’s has been featured in the premier issue of Lit Noir. Priced at a sweet deal for only a buck – (A Buck? – SCRAM!) – Lit Noir is available for download to your Kindle device or Kindle App for your PC, iPad, smart phone or other digital device. This entry was posted in Movies, Pop Culture, Publishing and tagged Digital Magazines, Jack Lehman, Lit Noir, The Schleicher Spin. My heartfelt congratulations David! You continue to excel. Congrats, David! Glad this happened with that particular post — it deserves an even wider audience. Another major feather in your cap David! Congratulations. It’s it be the best dollar buy I’ve ever made. Congratulations on yet another well earned accomplishment. And, I think it’s wonderful that you have sparked an interest in so many excellent films of the 1940’s and other decades as well. Wishing you continued success!